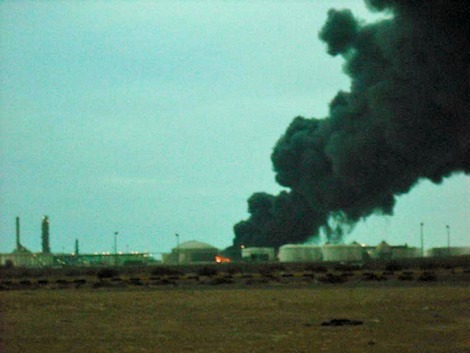 Oil prices spiked over $2 a barrel on Monday as UN-backed coalition forces continued to enforce a no-fly zone in Libya. Because there is also continuing unrest in other countries in the oil-rich region, this has caused market concern about the possibility of disruptions to world oil supplies. Libya is the world’s twelfth largest oil producer. On Monday, the price of Brent Crude for May settlement spiked as high as s $2.29 (2%) to $116.22 a barrel on the London ICE Futures Europe exchange. U.S. crude futures for April rose as high as $2.18 to $103.25. The price of crude oil has risen steadily since last year, and has accelerated since anti-government protests began in north Africa and in various Middle East countries. Since the beginning of the unrest in Libya, Saudi Arabia and other OPEC nations have assured that they will increase output to replace any decline in supply from Libya. Coalition air strikes over the weekend have outstripped these assurances, as far as the market is concerned. Analysts have said that uncertainly about the future is driving market sentiment, and that if a long-term solution to the unrest is not achieved, the price of oil will remain volatile. There is also market concern that unrest in Bahrain, although not a big oil producer, could spread to other oil producing countries in the Middle East. The price of oil could spike further if this occurs.